Good Morning Most Awesome and Wonderful World Changers!! I’m spreading joy and gladness for this month! Everyday leading up to my Birthday Benefit Concert on October 21 and my actual birthday, I’ll be talking about being glad! Even if you can only think of one thing to feel glad about, think on that thing! That’s one thing that the Bible says. 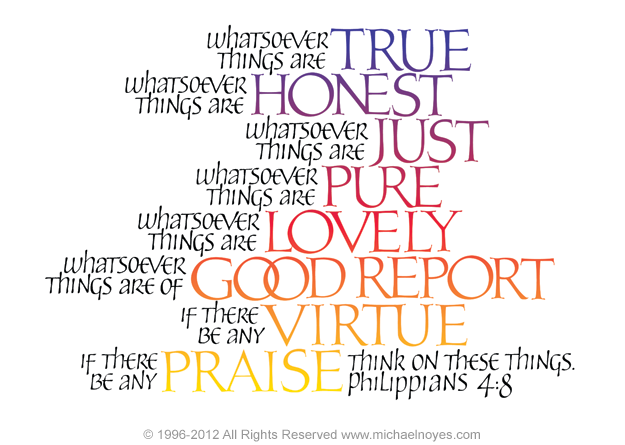 Finally, brothers, whatever is true, whatever is honorable, whatever is right, whatever is pure, whatever is lovely, whatever is admirable—if anything is excellent or praiseworthy—think on these things. 9Whatever you have learned and received and heard from me, and seen in me, put these things into practice. And the God of peace will be with you. Translated in Demby World. . . . Think of things that make you glad and you will find peace. Previous Post Child Please! Stop That Worrying and Just Be Glad! Next Post Time to be GLAD!!! !